- Urban lighting development is closely associated with urban development, contributing to boosting economic growth, improving and raising the living standards and assuring the urban civilization. - Urban lighting development is combined with renovation and synchronous construction of urban technical infrastructure systems. - To conduct research into, and application of, scientific and technological advances, particularly to the exploitation and use of new and renewable energies in urban lighting in order to economically and efficiently use electricity and energy and protect the environment. - To encourage domestic and foreign organizations and individuals of all economic sectors to invest in, produce and use high-performance and power-saving lighting products. Urban lighting development must comply with urban construction and development planning and plans; to incrementally modernize and raise the efficiency and quality of urban lighting; to renew technology, use new and renewable energies in urban lighting in order to save electricity, contributing to national socio­economic development and building of an image of civilized and modern Vietnamese urban centers of bearing the national identity. + 100% of the newly constructed traffic works and public spaces will use high-performance and power-saving lighting products. To encourage the use of standard solar energy- operated equipment and lighting sources in urban centers. + For urban centers of grades IV and V: The lighting will cover 80-85% of the length of main urban streets and regional streets; 60-65% of the length of alleys and lanes (of a width of 2 m or more). - The urban public space lighting, advertisement and decoration lighting must meet the requirements on light and safely, contributing to security maintenance. The public lighting systems of urban centers of special grade, grade I and grade II will be managed and operated by public lighting control centers. - To finalize the urban lighting planning for centrally run urban centers. - To lay underground power transmission cables for urban lighting in urban centers of special grade, grades I and II; to step by step lay underground such cable lines for other urban centers. - To further raise the urban lighting quality, ensuring that 100% traffic works, public spaces and advertisements in urban centers (including newly constructed, renovated or upgraded ones) use high-performance and power-saving lighting products, of which 30% to 50% use standard solar energy lamps. + For urban centers of grades IV and V: The street lighting covers 85-90% of the length of main urban and regional streets; 75% of the length of alleys and lanes (of a width of 2 m or more). - To complete laying underground power transmission cables for urban lighting. - For centrally run cities: To organize the formulation and approval of urban lighting planning. For other urban centers: To review and supplement the contents of urban lighting planning in the urban general planning, zoning planning and detailed planning. - To draw up investment plans on development of urban public lighting systems under the approved planning, including annual and long-term plans on capital mobilization, construction investment, operation management, trainings to raise the capabilities of urban public lighting system management units. - To prioritize central and local budget investment capital for development of urban public lighting systems. - To encourage organizations and individuals to participate in investment in, operation management of, urban public lighting systems in various forms under current regulations. a/ To study and promulgate incentive mechanisms and policies, aiming to encourage domestic and foreign organizations and individuals to invest in the construction of urban public lighting systems, use new energies in urban lighting, to invest in advanced technological chains for production of high-performance and power-saving lighting products, which are up to standards, diverse in types and beautiful in models, meeting domestic consumption and export demands. b/ To formulate mechanisms and policies for mobilization of contributions from people and the Slate for joint investment in construction, renovation and upgrading of the lighting of urban alleys and lanes. - Reviewing all systems of existing national lighting technical regulations and standards, thereby supplementing, finalizing and promulgating new standards and regulations. - Researching and applying high technologies to the production of synchronous lighting products of high quality, which are diverse in types and beautiful in models. - Further studying and improving the application of the geo-information system (GIS) and new technologies in order to raise the counseling and designing capabilities, quality control, management and operation of urban lighting systems. b/To study the construction of lighting quality testing, measurement and inspection centers up to international standards. c/ To study the establishment of databases on urban lighting, aiming to collect, process, store and supply information and data in service of the management, research, consultancy, designing and production. d/ To intensify inter-sector activities in popularizing scientific and technological knowledge, public information and community-based education, raising people's intellectual standards on thrifty use of electricity and use of high-performance lighting products. a/ To formulate policies on human resource training, including the training of technicians, managerial staff and technical workers for urban lighting operation and maintenance. b/ To intensify information exchange and popularization and application of technical advances and enhance the international cooperation in formulating mechanisms and policies, technical assistance, technological transfer and application, production and sale of high-performance urban lighting products; training and development of urban lighting human resources. a/ To complete the apparatus and unify the tasks of state management of urban lighting in localities. b/ For urban centers in which exist units managing and operating the public lighting systems: To continue raising the capabilities of personnel, renewing and modernizing the management and operation equipment so as to meet the new requirements and tasks. c/ For urban centers in which public lighting system-managing and -operating units do not exist: To organize the selection of management and operation units, sizes of which depend on specific local conditions. - Assume the prime responsibility for, and coordinate with concerned ministries, sectors and provincial-level People's Committees in, realizing the orientations for development of Vietnam's urban lighting through 2025. - Annually sum up the implementation of the orientations for development of Vietnam's urban lighting through 2025 and report thereon to the Prime Minister. - Review and assess the implementation of Decree No. 79/2009/ND-CP of September 28, 2009, on management of urban lighting and relevant legal documents on urban lighting. 2. 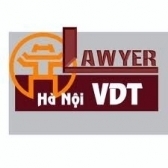 Concerned ministries and sectors shall base themselves on their respective functions and tasks assigned by the Government to formulate their respective action plans or programs for realization of the orientations for development of Vietnam's urban lighting through 2025. and coordinate with the Ministry of Construction in the implementation thereof. - Organize the implementation of Decree No. 79/2009/ND-CP of September 28,2009, on urban lighting management. - Scrutinize and consolidate the apparatus and unify the state management of urban lighting in their respective localities. - Finalize the urban lighting planning in their localities. - Draw up five-year and ten-year investment plans for development of urban public lighting and specifically identify investment priority programs and projects as well as resources for implementation. - Organize public information and education and mobilize people to safely and properly use lighting electricity; use high-performance and power-saving lighting products and strictly observe regulations on urban lighting. - Organize the inspection and supervision and annually report on the investment in development of urban public lighting systems in localities to the Ministry of Construction for sum-up report to the Prime Minister. Article 4. This Decision takes effect on the date of its signing.